U.S. Department of Commerce For Release June 30, 1977 2:00 P.M.
All figures in text below are in seasonally adjusted current dollars. ninth consecutive increase in the backlog of orders. and nonelectrical machinery orders also rose in May. billion with over three-fourths of the increase in finished goods. were the major contributors to the overall shipments decline. capital g declined $0.2 billion percent to $3.4 billion. orders ro $1. billion or 1 perce 113.0 billion. scheduled for release on August 2, 1977.
call William Month, (301) 763-2502.
order or by a draft on a U.S. bank. Price 30 cents per copy, $3.60 per year. Durable goods industries I l.
Stone, clay, and glas produ t,. 'etu ork "A hner . Hou o p lG ..... .
dIf In TV ...... ..
t lent, f'i and esg 5n'ari at . P atroleua and al prtdu-ts..
May Apr. Mar. May Apr. Mar. Mav Apr. Mar. May Apr. Iar. 'Adjusted for trading-day and calendar-month variations. the "total for industries with unfilled orders" category. May Apr. Mar. May Apr. Mar. May Apr. Mar. May Apr. Mar. applia.l;cs; ophthalre g.r" watches, and clocks, watchcases ; and miscellaneous personal goods. Products old series iat gories. building and military tank vehicles, communication equipment, aircraft, aircraft parts and ordnance. industries ordnance, communications, complete aircraft, aircraft parts, and shipbuilding and military tank vehicles. t-. May Apr. Mar. May Apr. Mar. May Apr. Mar. May Apr, Mar. S duratl. i ndusI t rl ':-, t t ....... ..... .. .
S i ndr -d pr.l- ct ......... ..... ......... ...... .
Sr ut . . . .. .
rh ,r d pro t ...... du. .. . . .
P -Chel" l ,o)! 11* d pri'd u ts . . .
t tr, 'lo w, d ( pr wducts............................ .
Hubif f ,- pla t n s f Pr dicn I n-. ....... ............. .
NA N t *,1 lahl-. PPI'olin :iry. X'Hli sl. 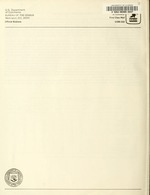 products; .ind rubbr and plastics products, n.e.c. six cost and three market categories. factures and the annual survey of manufactures. shown on the 1972 SIC. 'Estimates made for non-response accounts for more than 50 percent of the estimates in these industries.